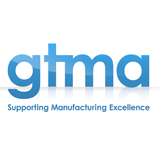 GTMA is a UK-based trade association representing leading companies in precision engineering, rapid product development, toolmaking, tooling technologies, metrology and other critical manufacturing related products and services. We have a committed strategy to focus on major market sector opportunities, from aerospace and automotive to medical and marine. Our work with OEMs and Tier 1s has seen initiatives to raize standards in our membership base which is now seen as a valuable resource for buyers building manufacturing supply chains. 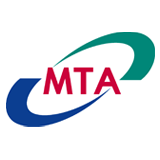 The Manufacturing Technologies Association is a trade association for companies working in the engineering-based manufacturing sector. Many of its members are involved in the construction and supply of manufacturing technology; items such as machine tools, cutting tools, metrology(measuring) equipment and CAD/CAM software. Other members deploy these technologies, and some are involved in providing services to the industry. Representing engineering based manufacturing and supporting the advanced engineering sector through advocacy, media contact and networking. Encouraging talent through funding and support for workplace training and education initiatives in schools, colleges and universities. The West of England Aerospace Forum (WEAF) is a membership trade association that champions and supports the interests of the aerospace and defence industry in the South West of England. The forum leads the sector in delivering national supply chain initiatives, which connect the SME community to the Primes. WEAF collaborates with partners like UKTI to provide critical support services such as export and marketing opportunities at major international trade exhibitions, like Farnborough and Paris. It also enjoys close links with the MOD. 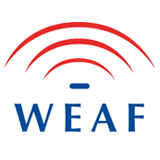 Our Membership Directory and Capabilities Database promote WEAF members online using detailed and structured information on competency. Our aim is to facilitate an environment where companies can improve their competitiveness and grow the industry. To this end, WEAF runs the Aerospace and Advanced Engineering iNet, networking and training events. It also actively encourages skills development and leads key Steering Groups within the aerospace and defence industry. 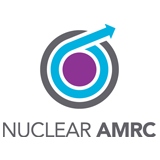 The Nuclear AMRC is dedicated to helping UK businesses become suppliers of choice to the global civil nuclear industry. Manufacturing process R&D – working with manufacturers to develop the technical capability to compete on cost, quality and delivery. Quality requirements – giving manufacturers clarity and knowledge on nuclear codes and standards, and helping them meet and exceed the requirements. Training and skills development – ensuring that the nuclear manufacturing supply chain has the skills required to compete in the global market. 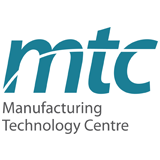 The MTC represents one of the largest public sector investments in manufacturing for many years and is housed in a 12,000 square metre purpose built facility at Ansty Park, Coventry. The center opened in 2011 and was founded by the University of Birmingham, Loughborough University, the University of Nottingham and TWI Ltd, our industrial members include some of the UK’s major global manufacturers. We provide a high quality environment for the development of cutting edge technologies into manufacturing processes with the aim of delivering truly innovative solutions to UK industry. The MTC is an open access center. We provide a flexible approach to working with companies of all sizes from SMEs to Tier 1s and large OEMs supplemented by a membership scheme which creates a collaborative research program.